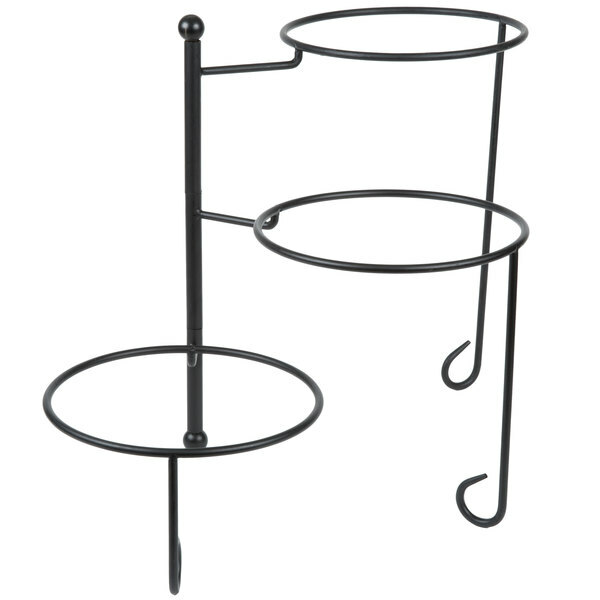 This American Metalcraft TTRS3 Ironworks three-tier foldable round display stand will be an added convenience for both you and your guests! 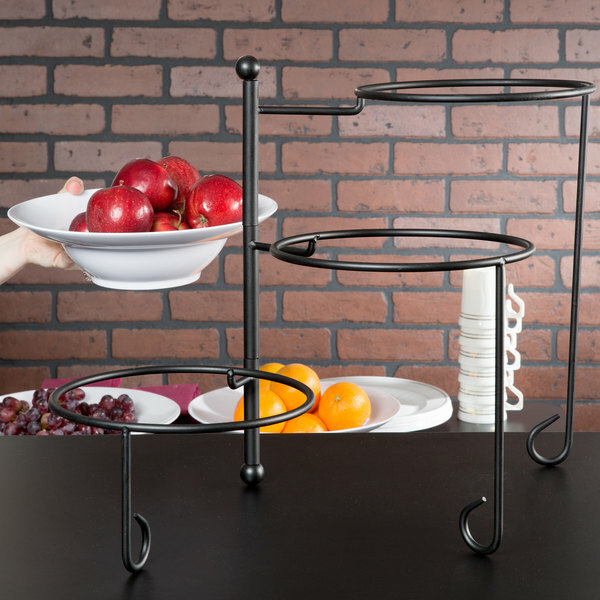 Use it at a breakfast buffet to serve fruit and granola bars, or have it set out at a lunch or dinner buffet to hold rolls and breads. Have it visible in your hotel lobby laden with complimentary snacks and goodies. 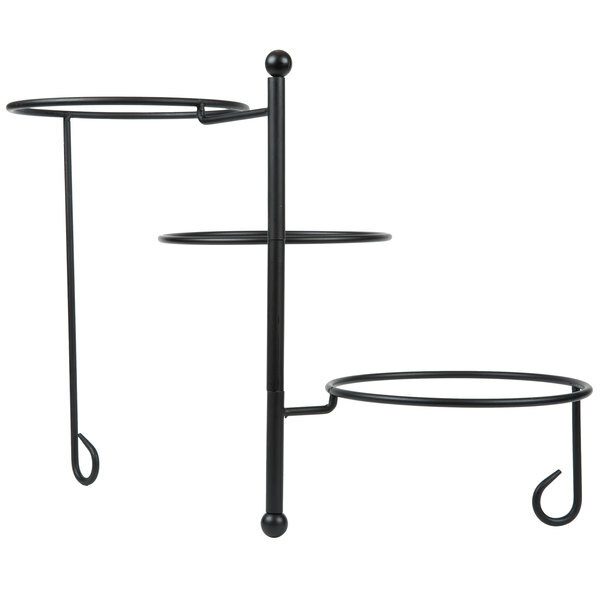 Perfect for any eating establishment, this plate stand swings open from the center to stand 24" wide. 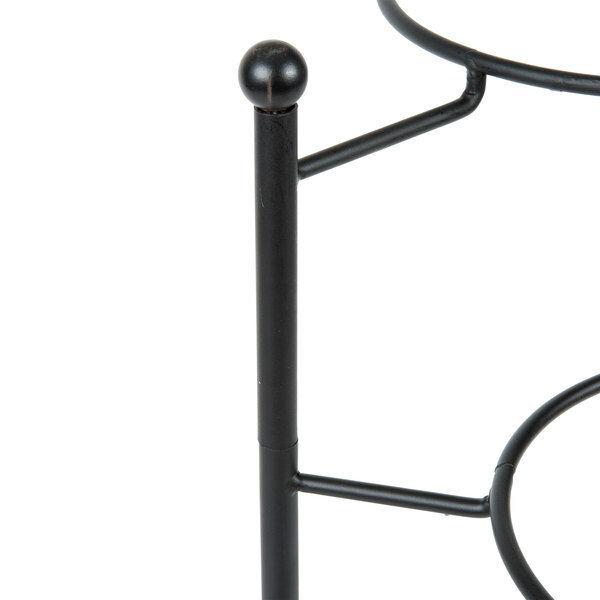 It also features a stylish and classic twisted black wrought iron design. 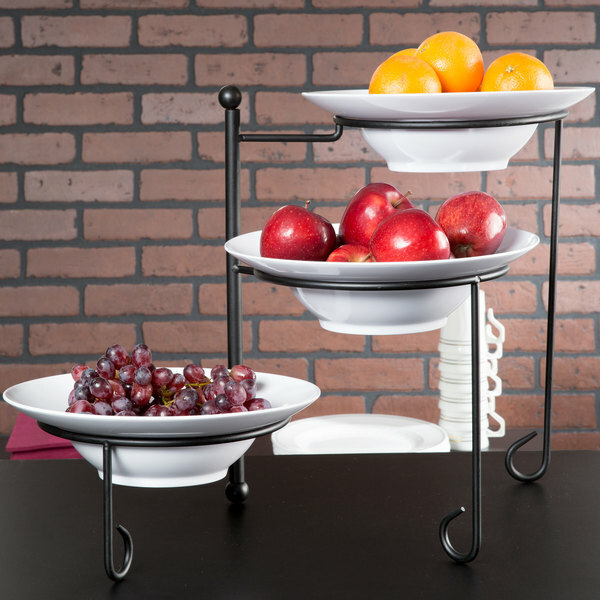 This plate stand fits plates and bowls up to 14" in diameter. 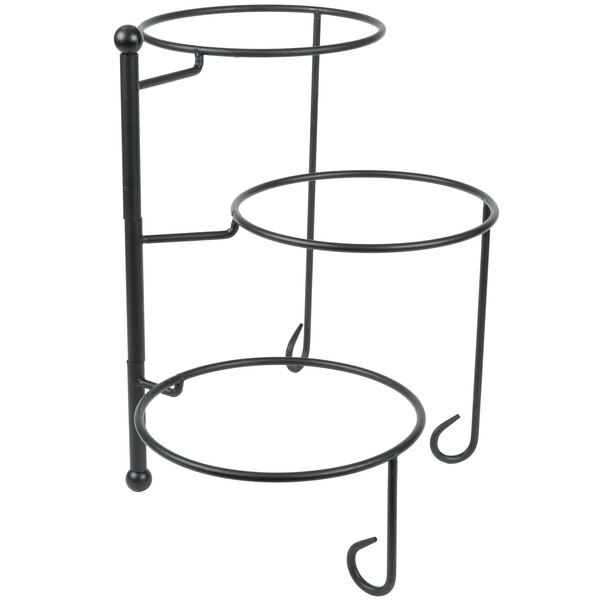 The 5 1/2", 11", and 16 1/2" staggered heights of the plates make for an eye-appealing display. Aesthetically, these are great. 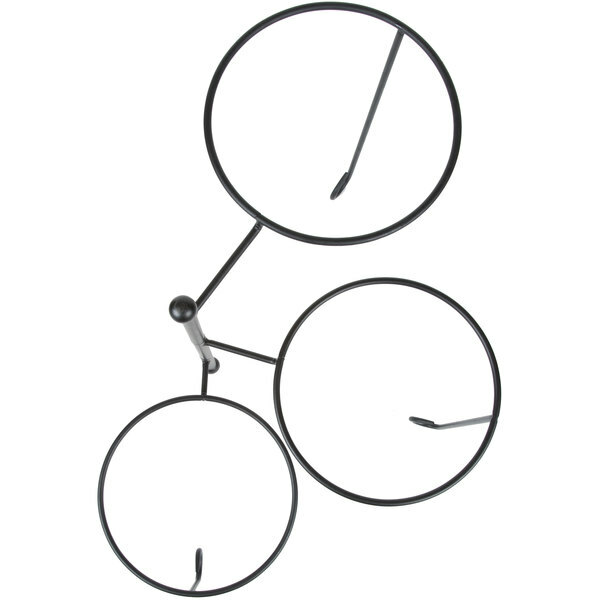 They also work with the American Metalcraft bowl system that we already use. Not very durable though, we had one break after only a couple of uses. I would think twice about buying if you will be catering offsite and/or transporting them.